As I walk down the lane every day for work, I see middle-aged mothers running around the house to catch hold of their scurrying children. Their mission, I figured out, was to make the little monsters guzzle down that tall glass of milk! Nostalgia kicks in. Scenes from our childhood, aren’t they? But come to think of it, each of us will be asked to drink milk all our lives! Ever thought why? Maybe that’s what got you here! In this article, we discuss the benefits of having milk and everything else you need to know. Lots to read, so scroll down quickly! Why Should You Drink Milk? What Are The Components Of Milk? What Are The Benefits Of Having Milk? Can Milk Have Side Effects And Risks? Two words – calcium and vitamins. The easiest way to get your daily fill of these nutrients is taking milk. These nutrients not only strengthen your bones and teeth but also improve the health of your hair, heart, brain, and, of course, your skin. Milk has many other nutrients as well, whose bioavailability depends on the species it comes from. To bring in the best of all milk varieties, today’s market also sells ‘fortified, enriched, and processed’ milk varieties. Before anything else, let’s look at what milk is made of. Milk is a complex fluid. Regardless of the source, milk is composed of fat, protein, lactose, and ash. Other components include water, minerals, and vitamins. Each source has these nutrients in varied percentages. Within each source, milk composition depends on the stage of lactation. This happens because the nutritional requirement of a newborn will be different from that of a 12-month old offspring. The nutritional profile also depends on how evolved the gastrointestinal system of the offsprings in each species is. Most of us prefer either cow or buffalo milk because of the low fat and high micronutrient content. The following table gives you the numbers so that you can make a wise choice (1). So, is a glass of cow or buffalo milk sufficient? The answer might not always be yes. For instance, obese individuals are asked to stay away from fats. How can they enjoy the goodness of milk? That’s how the fortified, low-fat, and skim milk varieties came into existence. Look at how the numbers change with processing (1). Boy, that’s a lot of variety and stats! The point I’m trying to make here is, today, you can get milk ‘customized’ to your needs. You name a disorder, and you have a fortified or toned milk variety for it. The reason the dairy industry is making these variants is that you NEED milk. They want you to absorb the goodness of this pocket-friendly elixir. Do you know why? It’s got to do with the number of ways milk can benefit you. Scroll down and start counting! Building a strong skeleton and maintaining healthy bones from fetal life to adulthood (and menopause) is vital. This prevents osteoporosis, bone loss, and related frailty. During peak growth in early teenage years, the body might require as much as 400 mg of calcium per day! Remember that you need vitamin D and magnesium too to avoid bone loss. This is especially true for women undergoing menopause – as estrogen fluctuations can trigger bone loss (decrease in bone density) (2). Drinking enough milk can offer the solution. 100 g of milk has about 120-124 mg of calcium and 11-14 mg of magnesium, which are 40% and 10% of the RDA respectively. Woah! Having 200-300 mL of milk a day was found to cut heart disease risk by 7%. Having low-fat milk can increase good cholesterol (HDL) levels and lower levels of bad cholesterol (LDL). So, no clogged blood vessels. Also, the abundant calcium in milk dilates the blood vessels and strengthens the cardiac muscles. The bottom line – drinking low-fat milk from a young age can prevent atherosclerosis, coronary artery disease, angina, and other life-threatening heart diseases (3). Regardless of its fat content, milk provides about 300 mg of calcium per serving (8 fl. oz). About 3% of bovine milk is protein, 80% of which is made up of casein. The primary role of casein is to carry minerals to target sites. For instance, casein binds to calcium and phosphorus and delivers them to the digestive tract. These minerals accelerate digestion by stimulating the release of digestive juices in your stomach. Casein also pairs with small amino acid chains, called peptides. These casein-peptide complexes prevent pathogen attacks in the GI tract by secreting slimy mucin that traps them (1). So, calcium and milk proteins are capable of treating indigestion, gastritis, ulcers, heartburn due to GERD, bacterial infections, and even stomach cancers. Many hypotheses about milk and type 2 diabetes are floating around. 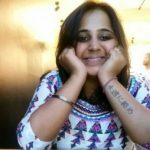 Though there is scope for immense research, some hypotheses logically elucidate the effect of milk on such chronic diseases. This time (again! ), the heroes are calcium, magnesium, and peptides. These ingredients alter glucose tolerance and insulin sensitivity in your body. Also, the whey proteins in milk improve satiety and appetite control. This way, you don’t overeat and invite obesity. With such control, you can avoid lipid peroxidation, organ inflammation, and finally diabetes (1), (4). All this, only if you drink milk! Whole milk is a reservoir of soluble whey proteins. A few of them, like lactoferrin, have potent anti-inflammatory activity. 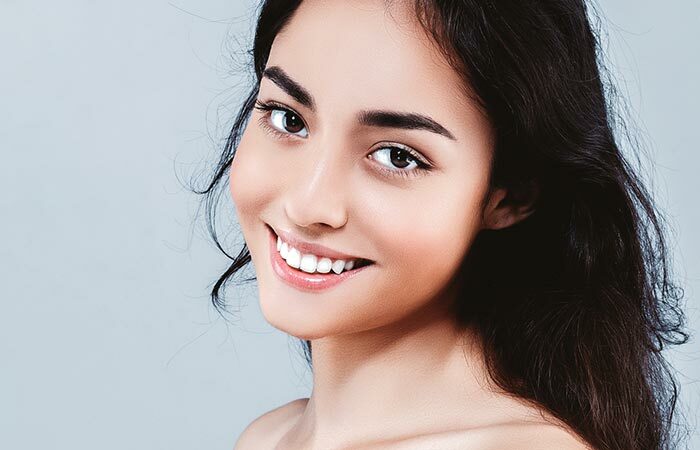 Topical application of fermented milk that is rich in lactoferrin can cure inflammatory conditions like acne vulgaris. Drinking low-fat skim milk can also prevent and effectively manage acne, psoriasis, pathogenic skin infections, lesions, and breakouts. This is because skim milk has negligible fat and triglyceride content. In one study, milk application reduced skin sebum content on the skin by 31% (5)! Did we forget vitamin D? Synonymous with milk, vitamin D protects your skin from UV light. Optimal vitamin D levels protect you from sunburn and melanoma (skin cancer) (6). The earliest recorded burn dressings were made with milk from mothers of male babies (7). As milk has whey proteins and minerals that accelerate skin healing, it is used to treat acute burns, scars, and allergies (8). Many of us believe that drinking hot water induces sound sleep. But replace it with hot milk, and see the difference for yourself! Several studies show that drinking hot milk with Horlicks before going to bed reduces small sleep movements. Small movements can happen due to hunger, a sudden release of neurotransmitters, or other unknown cellular processes (9). Such small movements disturb your sleep and make you cranky. Many theories also explain how Lactobacillus-fermented milk can control hunger contractions, soothe your gut, and enhance sleep quality (10). Across civilizations and continents, milk is considered as essential as oxygen. No wonder! For most of us, milk is our first love. We just can’t do without it. But there are a few for whom milk is their first enemy. A bit of milk or milk products can cause problems. And that means lactose intolerance. 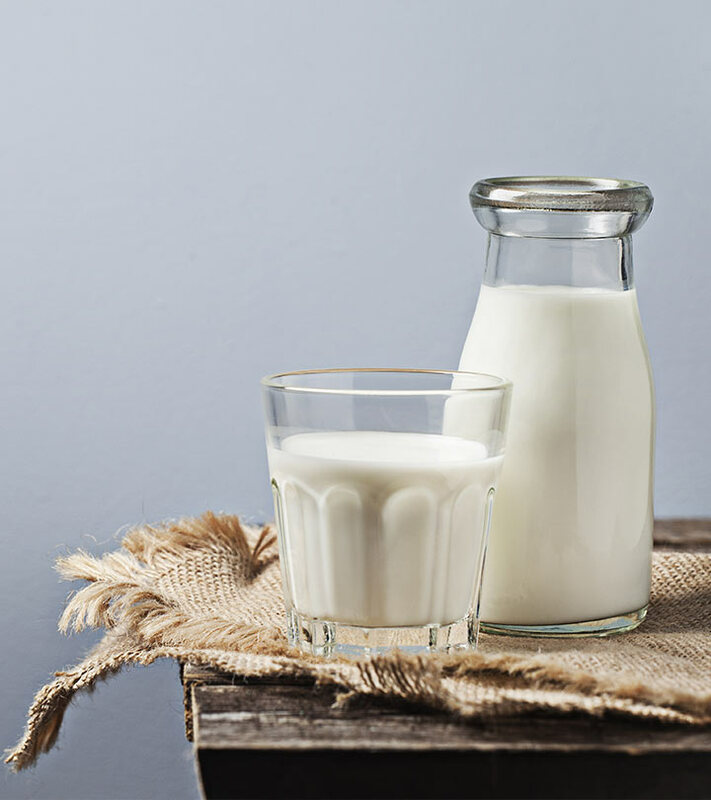 Read on to know more about lactose intolerance and other risks associated with drinking milk. Lactose is the sugar found in milk and milk products. To break it down into glucose, our small intestine produces an enzyme called lactase. When there is insufficient lactase produced, your stomach cannot effectively absorb lactose – and this results in lactose intolerance. And that’s when undigested lactose passes through the intestine, as it is. As it reaches the colon, the bacteria there break it down to produce glucose, but along with it, fluid and gas are formed. So, the classic symptoms of lactose intolerance are bloating, diarrhea, gas, nausea, and gastric discomfort (11). Milk allergy is a reaction by the body’s immune system to one or more milk proteins. An allergic reaction to milk can be life-threatening – even if the person takes only a small amount of milk or milk products. Milk allergy most commonly occurs in infants or one-year-olds, while lactose intolerance occurs more often during adolescence or adulthood (11). 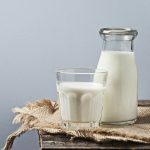 While there are research papers that say drinking milk can reduce gastritis and ulcers, there are few others that disagree. As the casein in milk helps transport minerals and peptides to the gut, it can even trigger excessive production of gastric juices. This changes the pH balance of the stomach. Instead of healing, this feedback effect of milk could aggravate peptic ulcers. Worst case, the build-up of such pH imbalance in the gut might lead to gastric cancer. Bovine milk (cow and buffalo) has natural hormones secreted by the animal. Estrogen is one such hormone that is found abundantly in milk. Your body already produces estrogen to perform assigned roles. Excess estrogen through milk can cause issues, especially in men. Some studies show how estrogen from milk can cause cancers of the breast, prostate, and testes (12). Drinking raw milk from cow, goat, sheep, or buffalo can cause acute and chronic pathogenic infections. Unpasteurized milk has dangerous bacteria such as Salmonella, E. coli, Campylobacter, Staphylococcus aureus, Yersinia, Brucella, Coxiella, and Listeria. Most commonly, bacteria in raw milk can cause vomiting, diarrhea (sometimes bloody), abdominal pain, fever, headache, and body aches. In rare cases, it can also result in severe or even life-threatening diseases like paralysis, hemolytic uremic syndrome, kidney failure, stroke, and even death (13). It’s confusing and scary! So, should we drink milk or not? The benefits of milk, obviously, outweigh the risks. So, yes, drinking milk is mandatory. Check if you are lactose intolerant/have milk or protein allergy. Is the milk pasteurized and thoroughly processed?What’s the source of the milk – cow, buffalo, goat, sheep? What is the fat content in the milk? Stay updated about the happenings in the dairy industry. Read the nutrition labels clearly and understand what each element means before you choose a brand. By taking precautions and monitoring the way your body responds, you can safely drink the required servings of milk every day. Scroll down to get a few FAQs answered by the experts. And should you have any other queries, suggestions, and comments, please write to us by commenting in the box below. There’s never a wrong time to do a right thing. So, if you haven’t made milk a daily habit, do it now! What is the right time to drink milk in a day? If you are looking to build muscles and strength, the best time to have milk is in the morning. You generally have more physical activity in the morning. If you are looking to improve sleep, digestion, and gut health, nights are a better option. Though there is not enough research yet, figuring out how it works for you is the best way to decide – at least in adults. Can you drink milk on an empty stomach? Yes, you can drink milk first thing in the morning. Although it might get a little heavy to digest, if you are not lactose intolerant, milk should be okay. On the contrary, some researchers suggest a detox first. Start your day with lemon juice or apple cider vinegar. It helps maintain the pH of the gut and preps it up for the day’s gastric activity. Having milk after this detox is still a good option.